At a time when the print medium was losing its readership all around the world, Pakistan’s largest cricket magazine in English ‘The Cricketer Pakistan’ vanished without a trace. 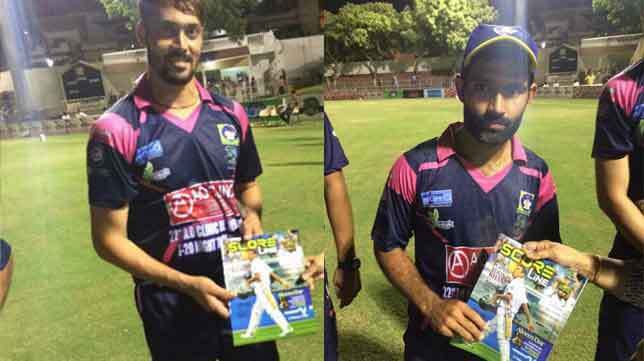 The magazine was unable to make a successful transition from print to digital and that’s one of the many reasons why in the age of digital media, Pakistan had no English language magazine representing everyone’s favorite game – Cricket. That’s when the former Sub Editor of the now defunct magazine Shoaib Ahmed along with Media Executive Muhammad Rahimtoola decided to carry the flag forward and come up with a magazine that brought the good, the bad and the ugly side of Pakistan Cricket to readers who could read it both online and in print form. It was three years ago when Muhammad Rahimtoola and Shoaib Ahmed launched the magazine and since then, it has kept the tradition of critical analysis, investigative journalism and carrying match reports alive. With Pakistan Cricket team on the rise, it was assumed that ScoreLine will only cover the good things that were associated with the Pakistan Cricket Board, however the passionate journalists and analysts writing for ScoreLine vented out their concerns in a civilized manner, pointing out the many wrongs the officials of the Board considered right, making it a mouthpiece for all those who believed in finding out the faults in Pakistan Cricket and steering it on the right path. It’s really nice to see a quality publication coming this far in the last couple of years. Hope it keeps adding value to the world with insightful writings. 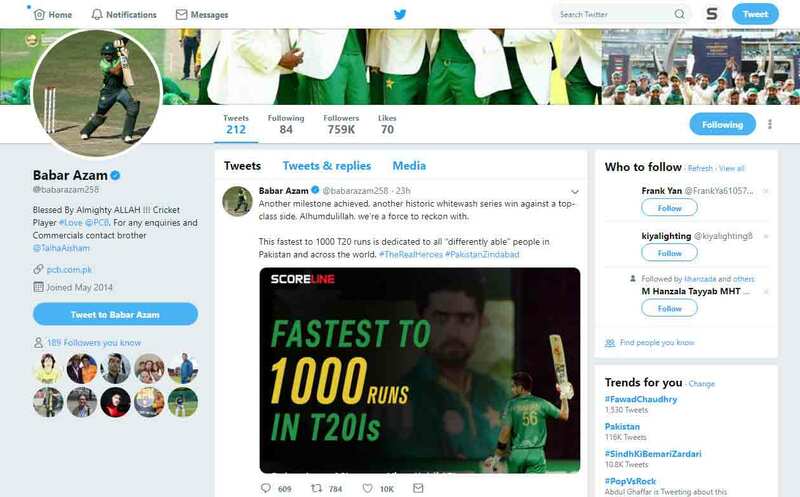 What ScoreLine does is more or less the same thing The Cricketer Pakistan did way back in the 1970s till the dawn of the new millennium; in fact it was a challenge for Muhammad Rahimtoola who was venturing into print whilst being simultaneously associated with the TV and Digital Industry for a long time. For Shoaib Ahmed, it was a return to familiar surroundings as his last assignment was serving as Manager Media Affairs of Pakistan Cricket Board. The experience of working under the legendary Cricket scribes Omar Kureishi in Sportsweek and Gul Hameed Bhatti in The Cricketer Pakistan helped him understand the basics of the trade. He not only launched the Bi-monthly magazine that covers the game from grassroots to international level; their panel of contributors for both print and web includes former Test Cricketers Asif Iqbal and Rashid Latif as well as senior journalists including Richard Heller, Bill Ricquier, Chishty Mujahid, Asif Sohail, Shahid Hashmi, Peter Oborne and Peter Miller whose writings have helped the readers in shaping their opinions. The website is an amalgamation of foreign as well as local scribes, exclusive interviews with the stars of today and tomorrow as well as detailed analysis of matches is what clicked with the audience. 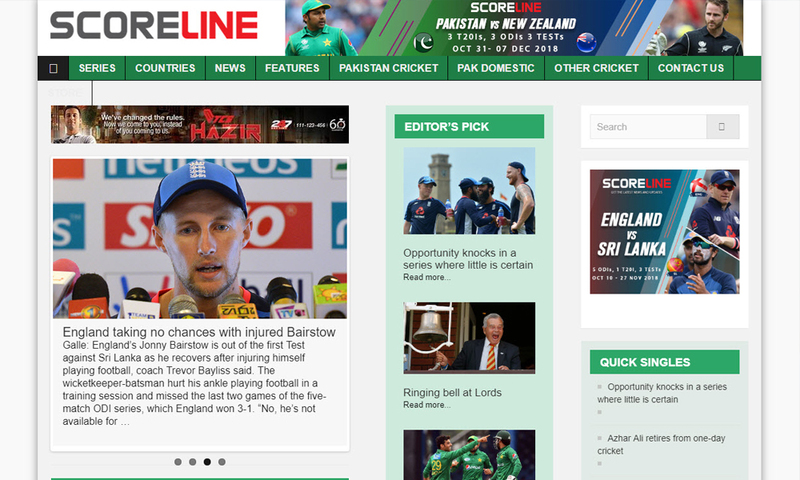 The content includes news, ball-by-ball coverage of all Test, One-day and T20 international matches and features written by some of the world’s best cricket writers. 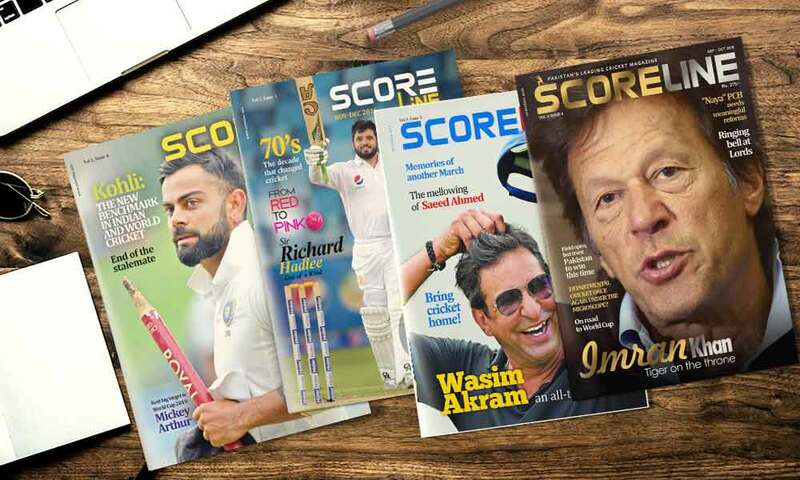 ScoreLine also plans on moving to the digital platform in order to make their website the main platform for cricket lovers in Pakistan and around the world. Score Line has set a great standard and benchmark in sports journalism over the last couple of years. It is amazing to show that this stands amongst the best at international level. The extensive list of contributors from around the world truly gives Pakistan huge standing and respect. Wish all well ahead and more. The publication is the best in Cricketing journalism from our part of the world. I have noticed lovers of the game here waiting for it anxiously. It is full of information, historic records, and outstanding performances. The advisory board comprises of former PCB Chairman Arif Ali Khan Abbasi, renowned commentator Chishty Mujahid, former Test Captain Rashid Latif, and advertising giant Javed Jabbar. 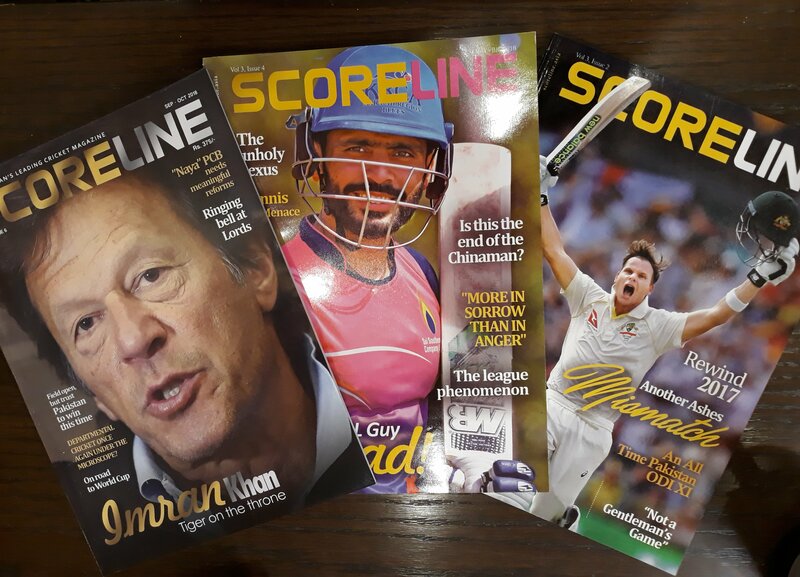 In its 4th year now, ScoreLine is responsible for educating its audience about Pakistan’s most loved sport; be it, Cricketers of their followers, the men at the helm or those whose opinions matter, ScoreLine is the first choice for all. You may not like the analysis and criticism but you can’t deny its importance in keeping the fans of Cricket connected to the game.